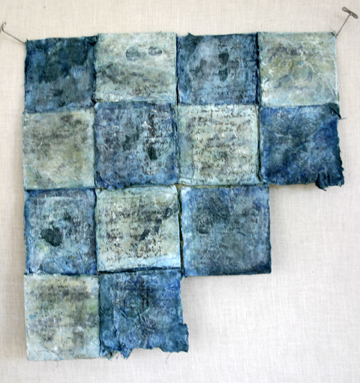 Folded, painted, stitched papers with acrylic image transfers; hand-dyed and crocheted silk. 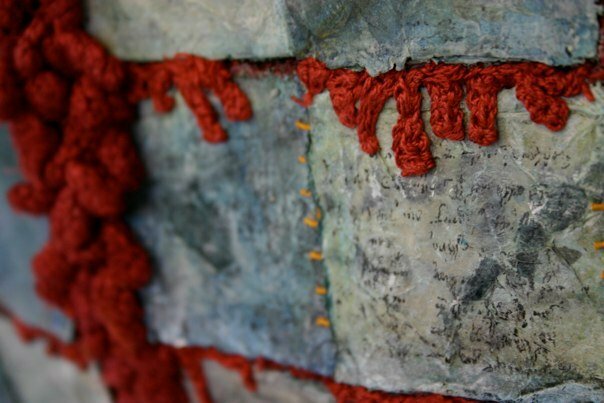 This piece appeared in the Altering Matters exhibit. I am fascinated by origami as another form of building structure with paper. This piece was an experiment of building something more off of a basic origami fold (as can be seen in the maquette). The crocheted parts are raw silk thread which I dyed and then did a simple crochet stitch to build up texture. 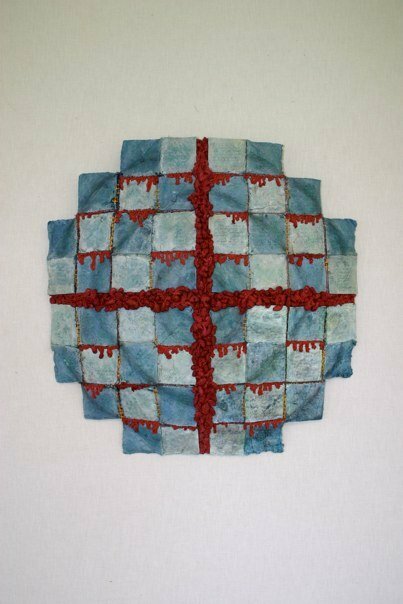 After stitching together of the core sections was complete, I built a rounded depth to the overall piece by sewing it to a backer over several discs of raw cotton batting. 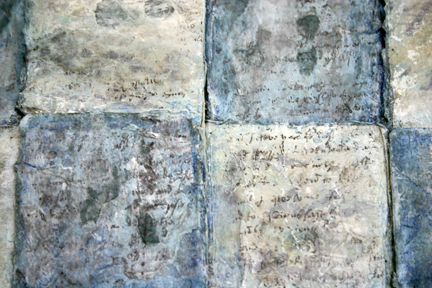 The text transferred onto the squares, using an acrylic gesso, is from an 1800s letter from a father in Maine to his son, who had finished theological seminary and was moving out west to spread his gospel. These people were the ancestors of my partner, Tommy, and the original letter is in the family's possession. Maquette (test piece) for construction of the larger work. I really like these. When you do them?